On 8 July 2011 Atlantis took off for the final 13 day mission of the Space Shuttle programme and it remains to this day the last American spacecraft to carry humans into orbit. 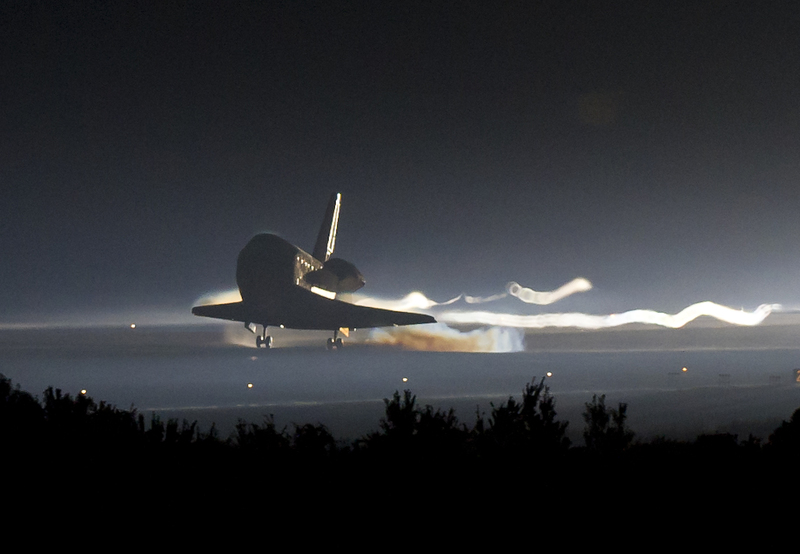 The landing of Atlantis on 21 July 2011, which brought the Space Shuttle programme to a close – Image from NASA. Prior to the Space Shuttle, all astronauts were launched into space in a small capsule which was stacked on top of a tower of one or more large rockets. It took months to build each launcher and space capsule, which could only be used for a single mission. This way of getting into space was very expensive and access to space had been restricted to a very small number of people. In today’s money each launch would cost hundreds of millions of dollars. In the early 1970s, as the Apollo programme to put a man on the Moon was drawing to a close, the next stage of manned space exploration was logically seen as widening it out so that many more people would be able to go into space at a much lower cost. At the time many people thought that, with continual improvements in technology, travelling into space would become commonplace by the 2020s – just like flying in a plane. It was planned that there would initially be a fleet of four Space Shuttles. Each would be launched like a traditional rocket into Earth orbit and after it had completed its mission would land like a conventional airplane on a runway. After it had landed, the shuttle would be refueled and serviced and could be launched again within 10 days. In 1972, when Nixon announced the approval of the Shuttle programme, NASA expected that they would be launching 50 shuttle missions a year by the time the shuttle was fully operational. They estimated that it would cost $5.15 billion (equivalent to $30 billion in 2016 dollars) to design, develop and build the Shuttle fleet and each launch would cost $7.7 million ($45 million in 2016 dollars). At that time it was expected that the Shuttle would have a lifetime of 10-15 years and in the early 1990s the shuttle would be replaced by a new generation of more advanced spacecraft. However, the development of the Space Shuttle was more complex and took much longer than expected. By 1979 the programme was already three years late, with the date of the first planned launch having slipped from 1978 to 1981, and it was the equivalent of $5 billion (in 2016 dollars) over budget. President Jimmy Carter wanted to ensure that the programme was still worth continuing with and subjected it to an intensive review. The decision was taken to continue – a key factor being that it was needed to launch military surveillance satellites. 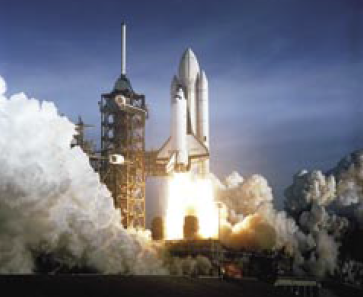 The Space Shuttle was first launched into Earth orbit in April 1981 and was the first, and so far the only, manned spacecraft which could take off like a rocket from a launch pad, go into orbit and then glide back to Earth to land like a plane on a runway. A total of 5 shuttles were built and between them they flew a total of 135 times between 1981 and 2011. Sadly it never achieved anywhere near the frequency of flights originally planned. Over its 30 year lifetime there were, on average, only 4.5 Shuttle flights per year. The much lower number of flights per year was for a number of reasons. One was that the minimum time interval between a Shuttle landing and it being ready for its next launch was much longer than the ten days originally planned. The three main engines needed to be removed from the Shuttle and carefully inspected before each flight for signs of any damage. Each Shuttle was covered by 30,000 protective insulating tiles to protect the spacecraft from damage due to the high temperatures when it re-entered the Earth’s atmosphere. Each of these tiles needed to be individually checked for damage and replaced if necessary. This was a time consuming task. Each tile was was designed to fit a particular place on the Shuttle and so was a slightly different shape from the others. But the biggest reason for the lower frequency of flights were perhaps the two fatal accidents in 1986 and 2003, both of which stopped all Shuttle flights for a period of time. In the first of these, on 28 January 1986, the Space Shuttle Challenger broke apart 73 seconds after take off, killing all the crew. Space Shuttle flights were suspended for nearly three years, while a commission under the chairmanship of former Secretary of State Williams Rogers investigated the cause of the accident and NASA put into place its recommendations. After the accident one of the observations was that because NASA wanted to have as many Shuttle flights as possible, they had cut corners when it came to checking that a Shuttle was safe to launch. 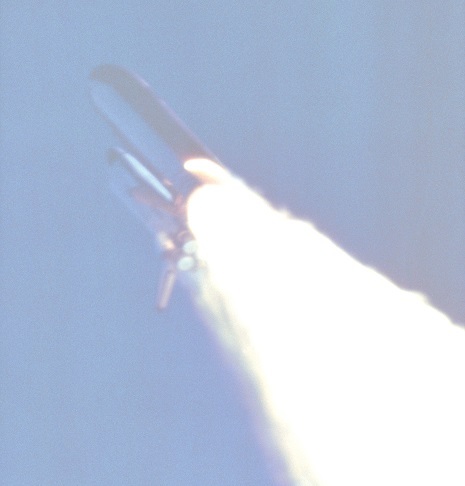 When Shuttle flights resumed in late 1988 there were fewer launches per year with a larger gap between them, to allow for additional safety checks. Before the accident, the Shuttle was intended to be the main vehicle to get NASA’s spacecraft into orbit, but after the accident NASA moved away from relying mainly on the Shuttle and went back to traditional non-reusable launchers as an alternative, which turned out to be a cheaper way of getting satellites into orbit. Prior to the accident, the Shuttle generated revenue, because private companies could pay NASA to launch their satellites on the Shuttle – indeed many of the early Shuttle flights carried such satellites. However, in August 1986, President Reagan made an announcement that the Shuttle would no longer carry any commercial satellites in order to focus on scientific and military objectives only. Although this might sound like good news for science, the problem was that the Shuttle was no longer generating any money, which in turn weakened the economic case for ongoing investment in it. 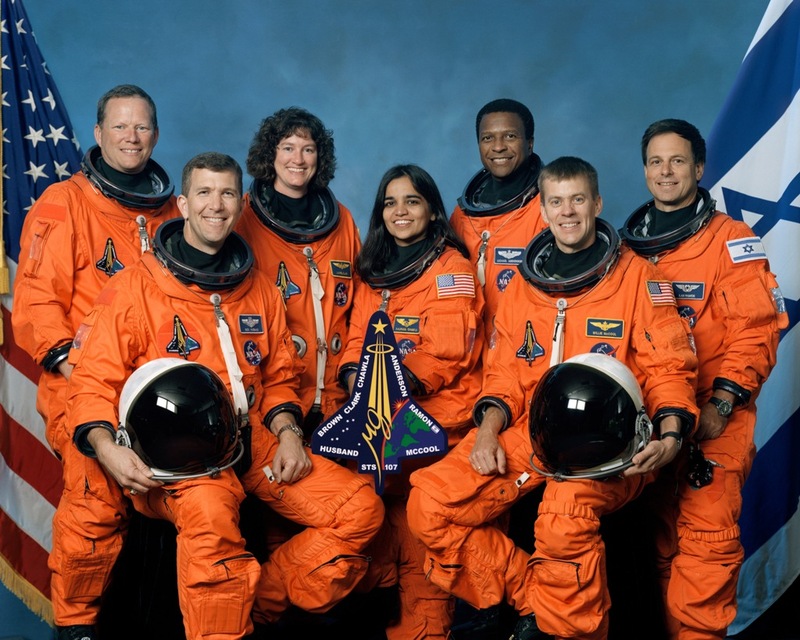 The second accident occurred on 1 February 2003 when the Space Shuttle Columbia broke apart during its re-entry into the Earth’s atmosphere. The Columbia Accident Investigation Board (CAIB) was set up to investigate the cause of the accident and found it to be the result of damage to a wing of the Shuttle caused by foam debris hitting it at very high speed shortly after launch. The CAIB found that there had been many similar “foam strikes” which had caused damage to the Shuttle over the years. However, because there had never been a serious accident NASA had become complacent and ignored the warnings which had previously been given by scientists from within the organisation. After the second accident, Space Shuttle flights were suspended for two and half years. When they did resume, only 20 more shuttle flights took place and all but one of these missions used the Shuttle to carry components to the International Space Station (ISS) which was being constructed in space and which NASA were committed to finishing. Flying to the ISS had the advantage that if the Shuttle were damaged on take off and couldn’t safely return to Earth then the crew could stay on the ISS until they could return to Earth on another spacecraft. The Space Shuttle was one of the most complex machines ever built. Each Shuttle was assembled from over 2.5 million parts and had 370 km of wire in its electrical circuits. Weighing 4.5 millions pounds (2,000 tonnes) at launch, it could take a crew of seven astronauts up to an orbital velocity of 28,500 km/h, which is 25 times the speed of sound, in just over 8 minutes. The Shuttle could carry into orbit a payload the size of a small bus and weighing up to 26 tonnes (Gehrman et al 2003:14). Although it never achieved its original objective of frequent flights into space, over its 30 year lifetime the shuttle launched numerous satellites, interplanetary probes (including the Galileo mission to Jupiter and its moons), and the Hubble Space Telescope. Shuttle astronauts also conducted numerous science experiments in orbit, such as studying the affects of zero gravity on plant and animal life. It would not have been possible to construct the ISS without the shuttle, as it played a key role in ferrying components, supplies and crew there. One of the key failures of the programme is that both the development of the Shuttle and each Shuttle mission cost far more than the original estimates. According to NASA (2012), the total cost of the Space Shuttle from 1972 until the end of the programme in 2011 was $113.7 billion. However, this figure is misleading because it is not adjusted for inflation. If we do this, the cost (in 2016 dollars) is around $220 billion. This compares with a cost of $175 billion in today’s money of the Apollo programme to put a man on the Moon (NASA 2014). 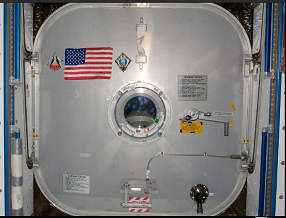 The final mission had a crew of four and the purpose of the mission was to deliver supplies and equipment to the ISS. 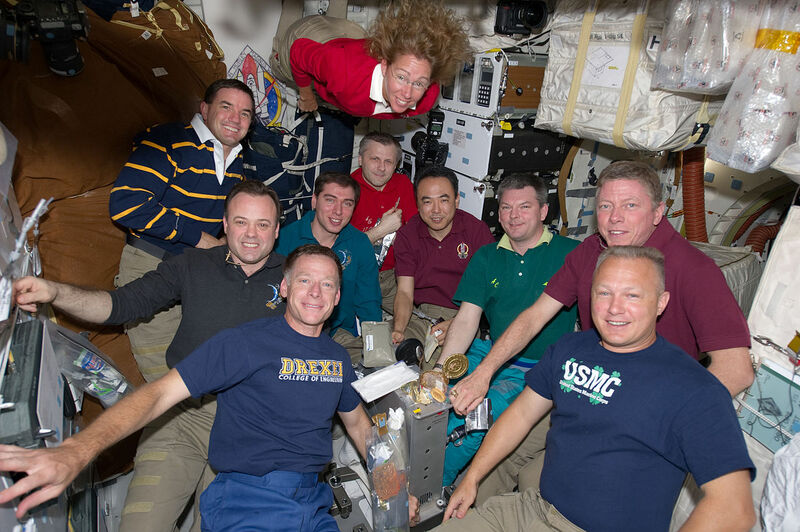 The astronauts spent seven days aboard the ISS, joining the six astronauts who were already there. Inside the ISS the Space Shuttle crew presented the ISS crew with a US flag, which was then mounted on the hatch leading to Atlantis. This particular flag is special because it was flown on the first Shuttle mission. It will remain on board the ISS until the next crew launched from the US retrieve it and bring it back to Earth. It is still unclear when this will be. Since the end of the Shuttle programme the only way astronauts can get to and from the ISS is by the Russian Soyuz spacecraft, a point worth remembering now that relations between the US and Russia are rather cool. Soyuz was first flown in 1967 and its design has changed little since then. Like Apollo, it is a single use spacecraft. The astronauts return to Earth in a small capsule which has a heat shield to protect it during the most dangerous part of the mission re-entry. Currently NASA pay $70 million per seat for each astronaut who flies in the Soyuz spacecraft (Wall 2013), which enables the Russian space agency to make a significant profit. In the next few years US spacecraft should return to space. Rather than build a new craft to fly crew to and from the ISS, NASA administer a US-government funded programme called Commercial Crew Development (CCDev). After a lengthy evaluation process NASA announced on 16 September 2014 that Boeing and SpaceX had received contracts to provide crewed launch services to the ISS. At the moment there is no confirmed date when these companies will send their spacecraft to the ISS. Although both companies have ambitious pans to send crewed spacecraft in 2017, significant development and testing is still needed, so I expect it won’t be until 2018 at the earliest when the US crew will retrieve the flag. In the medium term NASA are developing a spacecraft which will be able to take a crew to beyond low Earth orbit. However, this is not expected to carry crew until 2023. I will write about this spacecraft, which is called Orion, in a future post. I hope you have enjoyed this post. While researching it I found the information in the Columbia Accident Investigation Board report a useful source. It gives a lot more background to the Space Shuttle programme than I could mention here. If you want to view the report I have created a references page on my blog where the it can be viewed or downloaded. To do this click here. Gehrman, H.W., Barry,J. L., Deal, D. W., Hallock, J. N., Hess, K. W., Hubbard, G.S, Logsdon, J. M., Osberon, Ride, S. K., Tetrault, R. E., Turcotte, S. A., Wallace, S.B, Widnall, S. E. (2003) Columbia Accident Investigation Board -Report Volume I, Available at: www.thesciencegeek.org(Accessed: 15 July 2016). NASA (2011) How much does it cost to launch a Space Shuttle?, Available at:http://www.nasa.gov/centers/kennedy/about/information/shuttle_faq.html#1 (Accessed: 9 July 2016). NASA (2012) Space Shuttle era facts, Available at:https://www.nasa.gov/pdf/566250main_SHUTTLE%20ERA%20FACTS_040412.pdf(Accessed: 9 July 2016). NASA (2014) Project Apollo: A Retrospective Analysis, Available at:http://history.nasa.gov/Apollomon/Apollo.html (Accessed: 15 July 2016). Wade, M. (2016) Cost, Price, and the Whole Darn Thing, Available at:http://www.astronautix.com/c/costpriceanholedarnthing.html (Accessed: 10 July 2016). Wall, M (2013) NASA to pay $70 Million a seat to fly astronauts on Russian spacecraft,Available at: http://www.space.com/20897-nasa-russia-astronaut-launches-2017.html(Accessed: 10 July 2016). This is great. I loved the shuttle and it needed to be replaced. Maybe one day they will go back to the reusable spacecraft principle. Definitely, I was sad to see it go. In January, we visited the Udvar-Hazy Air and Space Museum near Washington DC. https://airandspace.si.edu/udvar-hazy-center It is filled with wonderful displays of milestones in flight. One of my favorite exhibits was the Shuttle Discovery. It is huge. Last week, my daughter and her two young sons had an overnight stay inside that museum. They slept on the floor next to Discovery. Their dad is a scientist for NOAA. Who knows what they will be doing in the careers? Return to the Moon, go to Mars, an asteroid…??? The review of the program in the CAIB report and corroboratory historical documents suggest that the basic problem with the Shuttle was that the price tag put on it by NASA initially was too low. 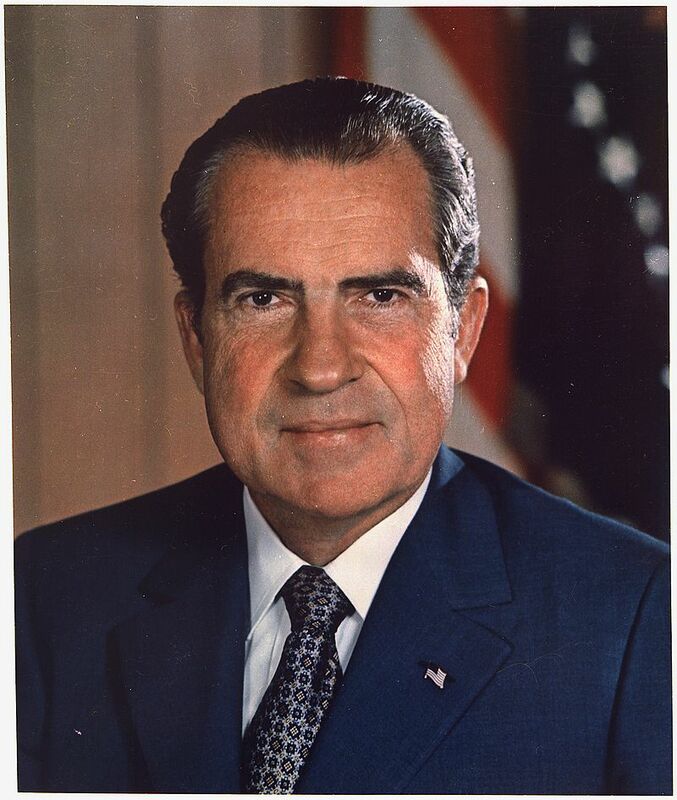 The original design proposals had it taking off and landing like a high performance aircraft, and when those price tags were rejected by the Nixon administration, NASA decided to change the design to make it cheaper to satisfy the criteria Nixon and company demanded. In the end they overspent their original targets, and created an unsafe vehicle with a loss probability of about 1%. It’s possible that after they abandoned the aircraft concept and put the craft vertical with external boosters, they shaved the price more, thinking they could get well later, once the concept was proved and with a friendlier Congress or Presidential administration. (I have seen this done many times in military and aerospace procurement where I worked for 17 years.) Trouble is, they were held to their promises, given additional monies, but they oversold the vehicle’s safety and how the trip to orbit and back was “routine”. Eventually, their own operations people began believing the advertising themselves. And pressure to fulfill their promises for delivery pushed them to take short cuts, with disastrous but inevitable consequences. Professor Sheila Widnall‘s summary of the accident in an MIT lecture emphasizes how this was a failure in engineering, even if the elements being engineered were organizations of people. The shuttle project was a stepping stone on the way to further innovation and discoveries. If you are going to overspend large amounts money on a project would you rather it be for the cause of exploration, or for the purposes of waging war on other inhabitants of the planet? Great write up! I hope one day we may resume ‘going where no one has gone before’. But maybe nothing will match the excitement of watching Armstrong land on the moon. I agree sadly, although the Shuttle was an amazing machine, Shuttle missions just didn’t generate the same level of excitement as Apollo missions to the Moon as the those of us old enough to remember the will recall. It is kind of sad to compare the levels of excitement, but at the same time I wonder why it didn’t generate as much… It wasn’t lack of risk, there were mistakes that cost lives in the shuttle program. Lack of competition from other nations? It’s no secret the space race began when the Russians sent a hollowed out ballistic missile into orbit (Sputnik). Interesting stuff and a great article! I think NASA was victim of its own propaganda. After all, they promulgated the idea that Shuttle missions were “going to work in Space”, pretty ordinary and safe, just like flying in a jet liner. Of course, given the reliability analyses they wanted no one to see or did not even want to admit themselves, the Shuttle was still a very dangerous machine. An interesting point. What is also worth noting is for the next generation of manned spacecraft NASA have gone back to the simpler and trusted space capsule, which gives a much better likelihood of crew survival in the event of an accident. I enjoyed this, Steve. Even understandable to a non-scientist!